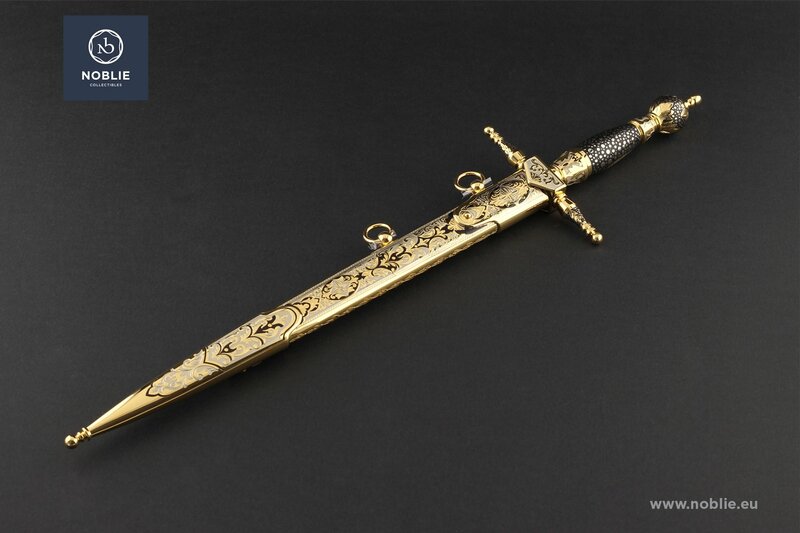 etching, polishing, engraving, nickel plating, gold plating, blackening, fretwork. 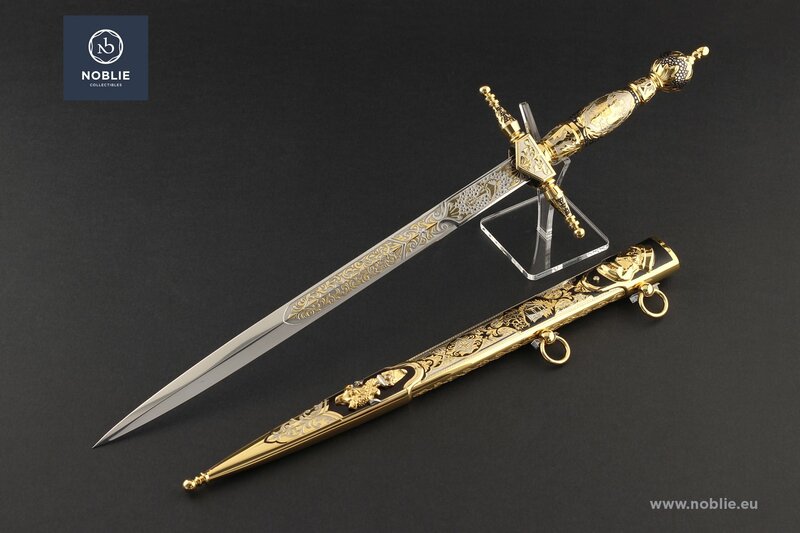 Blade of stainless steel 440C. 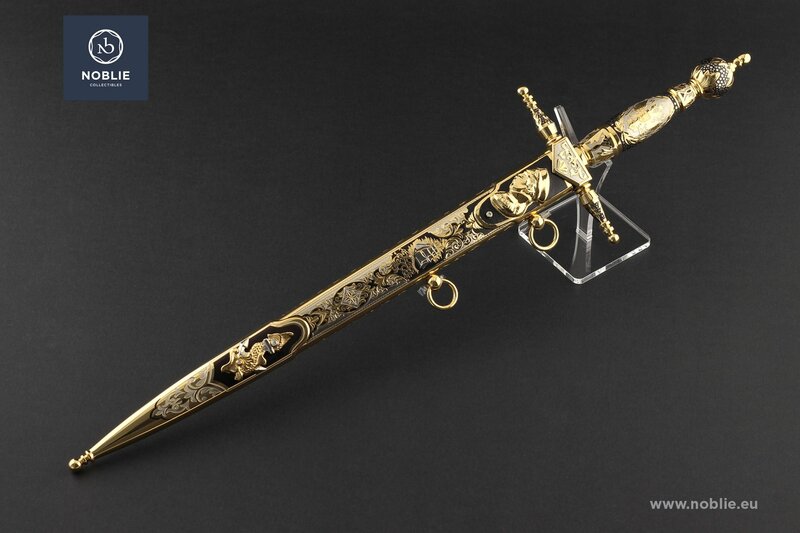 Decorated with fine engraved anchor depiction on one side and ornamental engravings on both sides. Handle composed of different metal elements. A guard and cross guard made of brass and then gilded. Two quillions shaped as masts of battle ship. A grip with engraved coat of arms on one side and blackenning decorated on the opposite side. 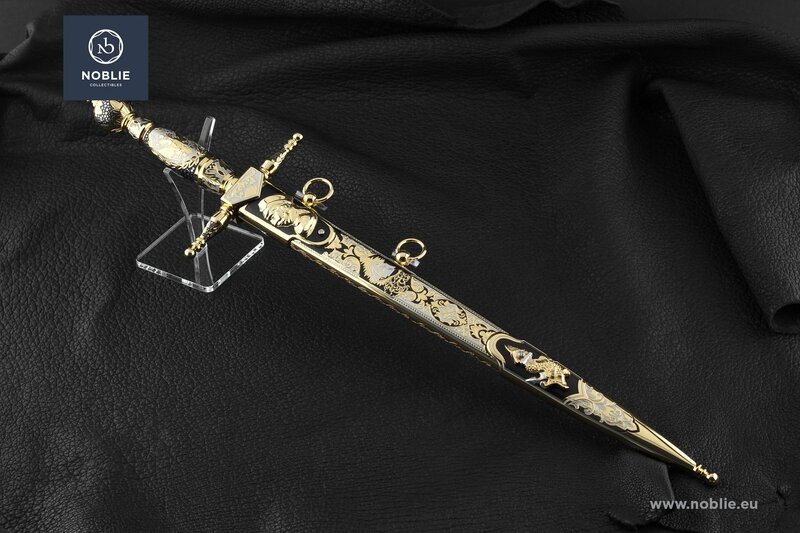 Dome shaped pommel with gold coating and additional blackenning decoration. 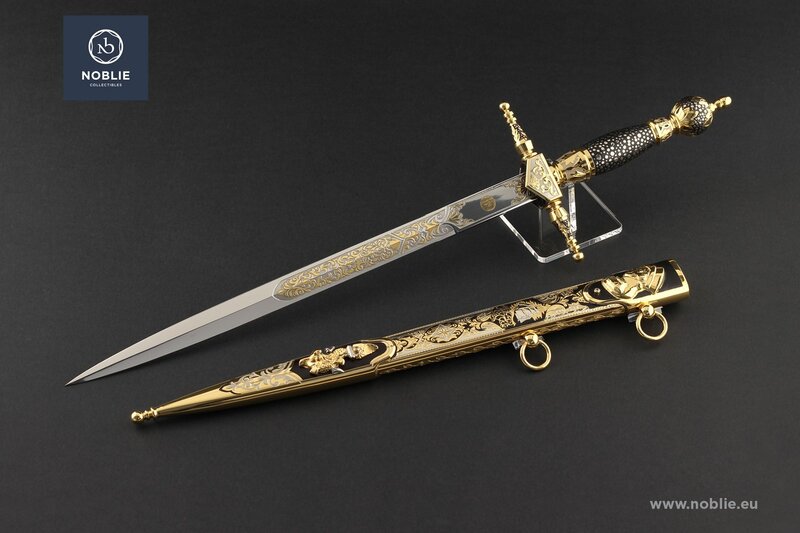 Scabbard adorned with big abundance of exquisitely crafted decorative ornaments. A bust of marine high commander, casted of brass and and gilded, situated on the one side of mouth piece. Depiction of battle ship, engraved in the middle and casted figure of a fish on the chape on the same side. Artistically engraved ornaments, gold coated and additionally blackened. Two decorative suspension rings.